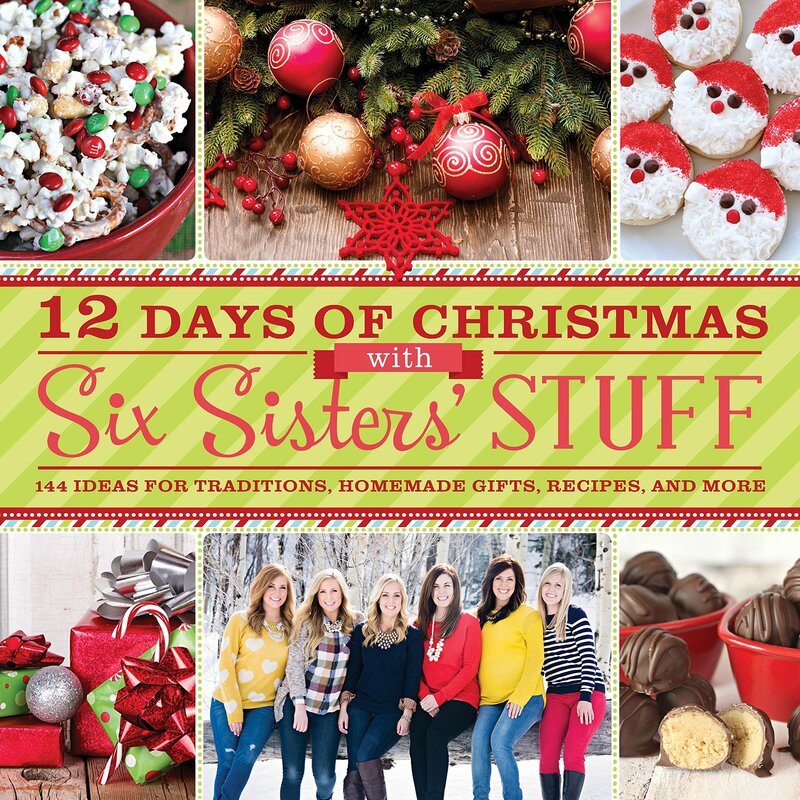 Overflowing with creative ideas for the holidays, 12 Days of Christmas with Six Sisters Stuff includes dozens of recipes, projects, and ideas for bringing the excitement of the season into your home. With full-color photographs and easy-to-follow instructions, you will find 12 Family Traditions, 12 Homemade Gifts, 12 Christmas Cookie Recipes, 12 Christmas Decorating Projects, 12 Neighbor Gift Ideas, 12 Ways to Make Christmas a Breeze, 12 Quick and East Dinners for Busy Families, 12 Christmas Party Themes, 12 Days of Christmas for Your True Love, 12 Spectacular Christmas Treats, 12 Days of Giving Back, and 12 Christmas Brunch Recipes. Create delightful family memories with all-new recipes, crafts, and ideas from the enormously popular bloggers. This book also makes a great gift for family, friends and even teachers....its so festive. For more information or to purchase, click HERE.